Candy Crush Saga .....I won 6 hours free life that I didn't receive in popsicle planet in space race. Hello Sue. I believe this is a known issue, and I will let the Moderator know about it for you. Thanks for writing and I hope you have a nice day. I won a six hour free life on candy crush saga. I accepted the prize but i never recieved it. How do I get it back? My daily treat calendar has vanished all together, why???? Which of these Blockers do you think is most sour? Tell us and you can win some Gold Bars! 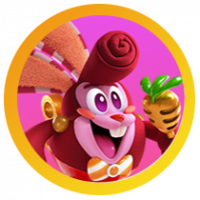 who currently holds the highest level on candy crush saga?